Andrea Aronson, an independent educational consultant based out of Westfield, New Jersey recently completed her coursework in the UCLA College Admissions Counseling program and was awarded a Certificate in College Counseling by the school. Ms. Aronson is a Senior Associate with Montgomery Educational Consulting. The world of college admissions is so dynamic and complex. My coursework at UCLA has contributed tremendously to my understanding of the college admissions landscape. Andrea Aronson, an independent educational consultant based out of Westfield, New Jersey recently completed her coursework in the UCLA College Admissions Counseling program and was awarded a Certificate in College Counseling by the school. The UCLA Certification Program is aimed at further educating those already involved in assisting students in their transition from high school to college. Individuals from around the world -- guidance counselors, independent counselors and others involved in the world of student advising – all meet in the UCLA virtual classroom. Classes provide a solid grounding in the latest issues and trends in college counseling and cover a range of topics including: financial aid, standardized testing, the specifics of the college admission process, and career counseling. 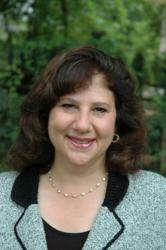 With the UCLA certification, Ms. Aronson, who currently leads the New Jersey office for Montgomery Educational Consulting (http://www.GreatCollegeAdvice.com), adds to her educational credentials. She also holds an undergraduate degree from Dartmouth College and a Masters of Business Administration from the Wharton School at the University of Pennsylvania.